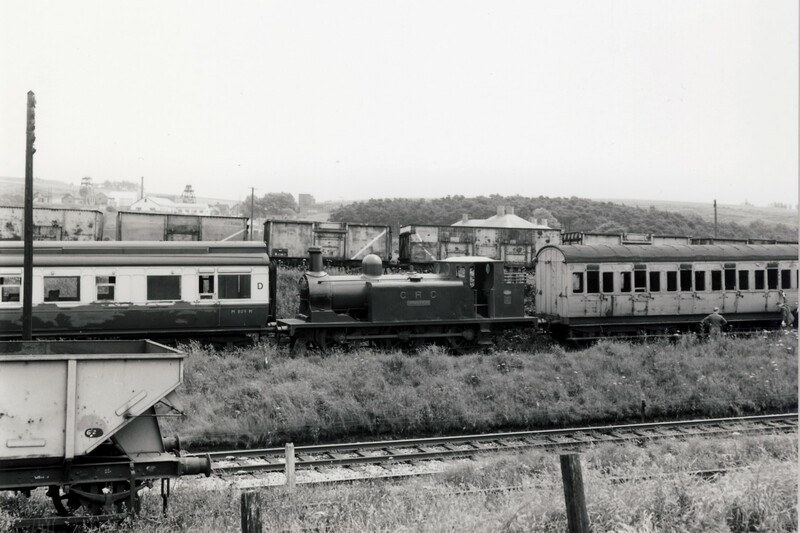 The second part of my last post, Hednesford Railways 2, went missing – the photos were in the library and according to the library information, attached to Hednesford Railways 2 – but, nowhere to be seen. Very frustrating! So here we go again! I shall start with the first photo again. The line that we are interested in is behind the rake of coal wagons heading off to Cannock Wood. 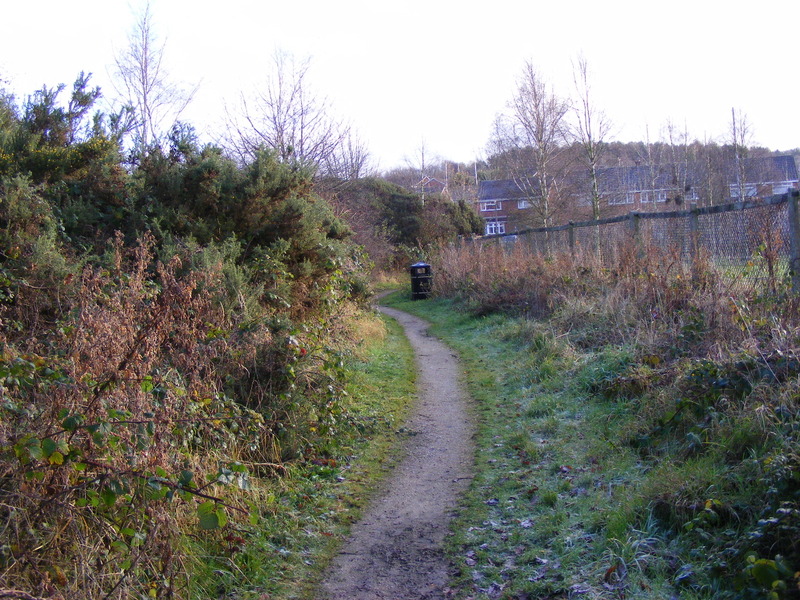 This photo shows where the line moves away from the Cannock Wood branch, and the next shows the trackbed a little further along. The line is now approaching the Rugeley Road, which was crossed by an over-bridge. Now that there are houses on the opposite side of the road, it is not easy to find the exact spot where it crossed, but it couldn’t have been far from this point. 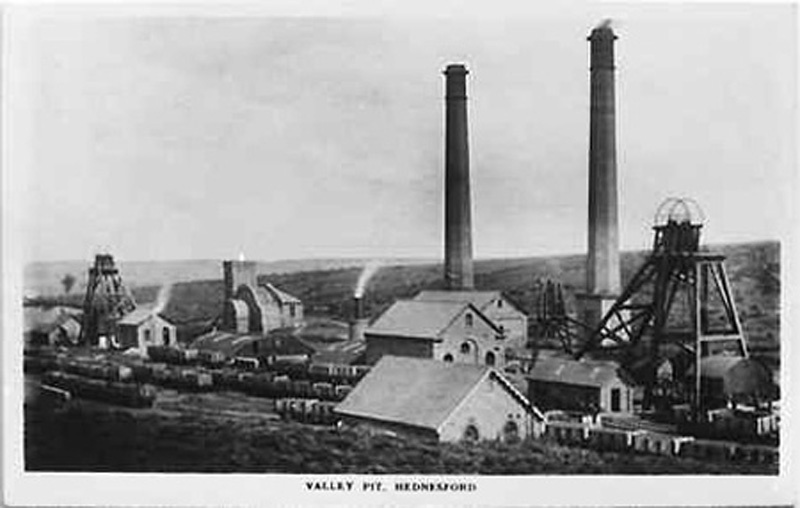 In this photo, the line came up from the Rugeley Road and passed in front of the chimneys, passed all the buildings, went under a footbridge and up the valley for a short distance. 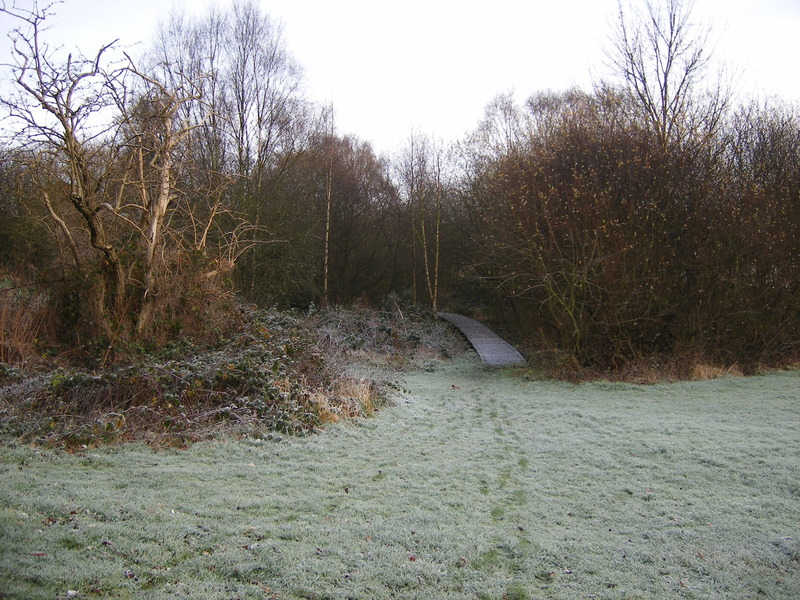 This is the site of the footbridge. 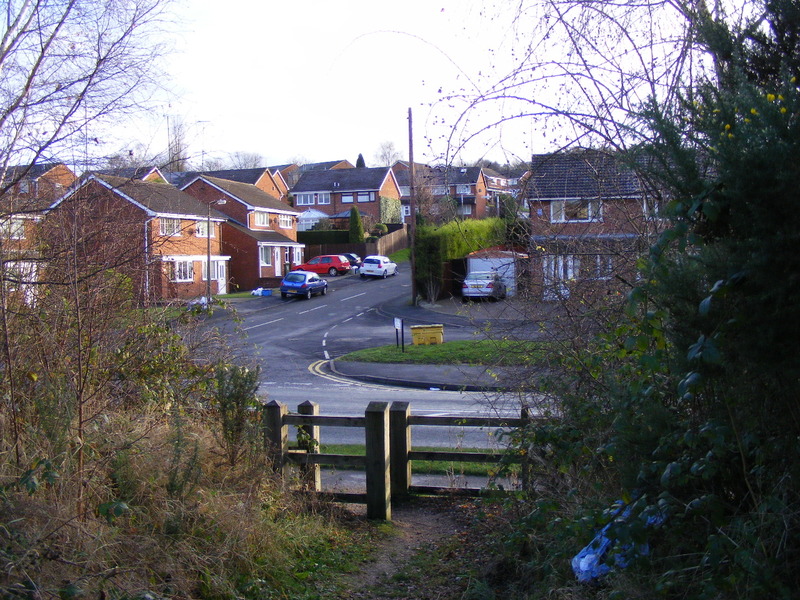 The footbridge was erected for miners from Hazel Slade and Rawnsley to gain access to the colliery without crossing the railway (and was used as a short-cut to get to the shops in Hednesford!). Up the valley the line ended and the train went over a set of points which enabled it to change track and come back down the valley to the sidings to the front of the photo. 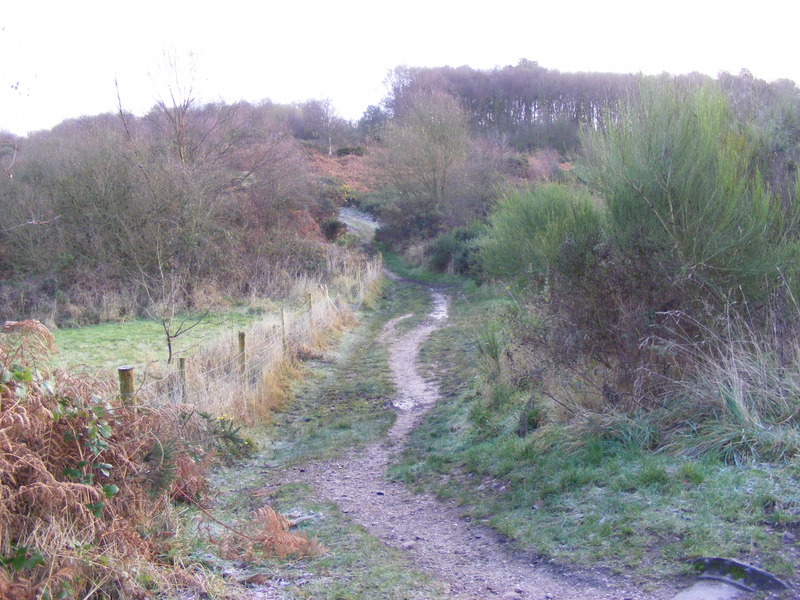 The line also carried on through to rejoin the up-line below the buildings, and travel back to Hednesford. 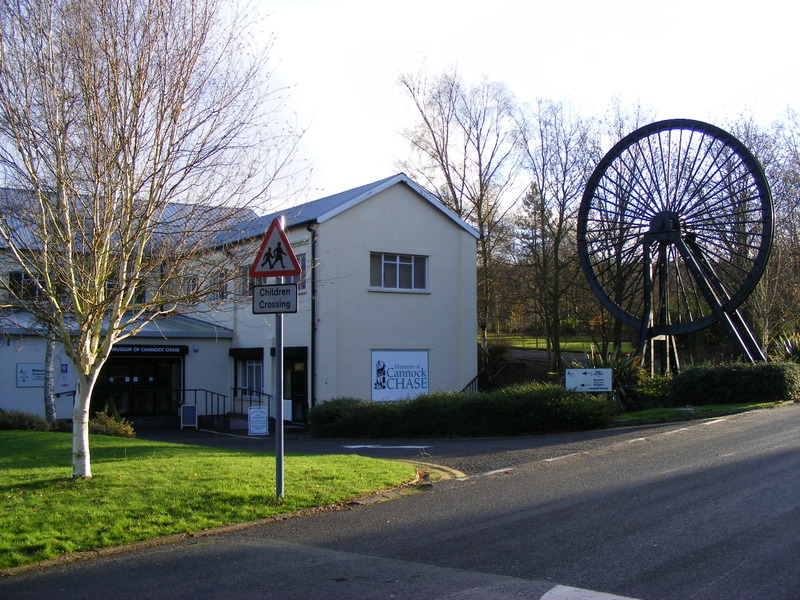 This is the present view of the old Corn Stores, now housing the Museum of Cannock Chase, the down-line would have followed the line of the tarmac road for a short distance before swinging over to join the up-line. If anyone has a photo of the road bridge or the footbridge, I would be very grateful for a copy. Thank you.